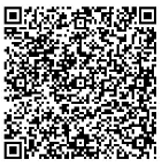 You can also scan our QR code below for full contact details. NEC3 & 4 Engineering & Construction Contracts. MEES registered agents for lodging MEES exemptions on the ‘PRS Exemptions Register’. We our experienced and accredited Commercial Energy Assessors with extensive Building Construction, Building Services, Energy Auditing and Cost Consultancy Services. With our background as Chartered Quantity Surveying practice, we have significant knowledge in Pre-Contract / Design stage, Post-Contract (Construction phase), Building Compliancy Handover, Whole Life Cycle Costing and Dynamic Simulation Modelling Services (DSM) Level 5 for Commercial buildings within London.